Silca's Impero Ultimate Frame Pump revamps the famous original, using an aluminum construction and the finest component materials. The alloy barrel and head house an aluminum handle, piston, and rod that push on Silca's renowned leather washer made in Milan. All that air makes its way through a brass check valve that is similar to that used in their SuperPista floor pump and then through a synthetic elastomer gasket that uses a 2-stage sealing design to hold tightly onto valves without requiring a locking lever. Silca has made their name by producing pumps that work well along with looking good, so it only takes 112 pumps on the size small to get a 23 mm road tire up to 100 psi. 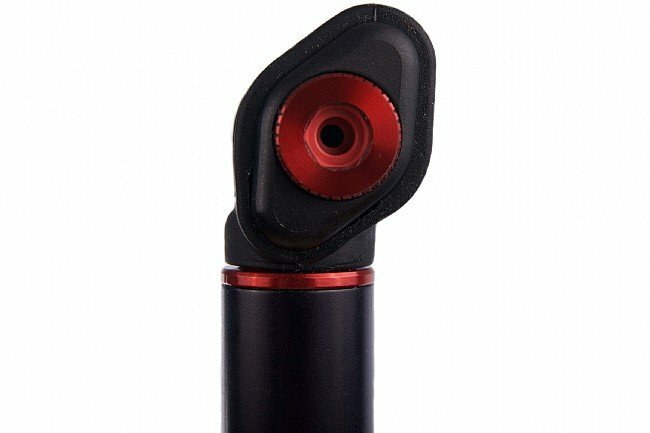 FlexWing silicone bumpers on both ends provide a secure fit on tubes ranging from 1” to 2.5” in diameter, and an additional bumper on the body protects top tubes from rattle while providing a stop for the handle while pumping. Available in multiple sizes to fit different frame clearances. 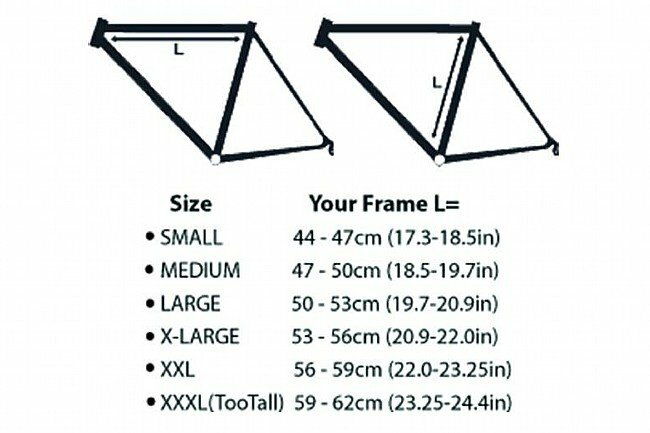 (See table below for sizing.) Claimed weights are: 256 g / small, 267 g / medium, 278 g / large, 289 g / extra large. Compatible with Presta valve heads only. Amazing pump - won't go anywhere without it! Yes it is expensive and heavy - but simply amazing, won't leave home without it! I've been using Silca frame pumps since 1974 - this iteration is beyond such versions. Using this pump in the Breaking Away sequence, Dave wouldn't have been able to ride home. Can't wait to use it on anything (dogs and sketchy neighborhoods in DC where I've been punched in the face) chasing me. Much quicker to pump up a tire than the mini pump and was able to get it up to 110 psi with ease. I have had issues inflating my tubes when I had a flat. I ended up using my CO2 in order for me to get home. At first, I thought it was my valve, but when I got home I tried it on other valves. It was the same issue. I'm not sure if it is the pump itself because I can't exchange it locally to test out this theory. But, will likely contact silca customer support after the holidays to see what kind of support I can get for my pump, since it's still new. I don't have to sit here and tell anyone that Silca makes extremely well designed, highly engineered and flawlessly executed products. This cyclist has used a Silca Impero plastic pump, since the 1970s, on many bikes, the new Impero Ultimate pumps better (which is saying a lot), looks to be indestructible, and weighs more. Unfair perhaps to compare it to it's predecessor, which was for decades by far the lightest pump with real capabilities. Fact is, it weighs in a bit heavier than the aluminum competition, too, but not by much. This mechanic has disassembled the new Impero Ultimate completely (for a baked-on paint job) and found, at 10X magnification, no flaws anywhere. It stays on the bike on rough rides. The five sizes will satisfy all but a very few. It is clearly capable of decades of service with it's replaceable wearing parts, so the price, which is higher than any other frame-fit pump that I have seen, seems reasonable to me. Couldn't find a reason not to give it five stars. pump weights a lot, not like the vintage Silca pumps at all. 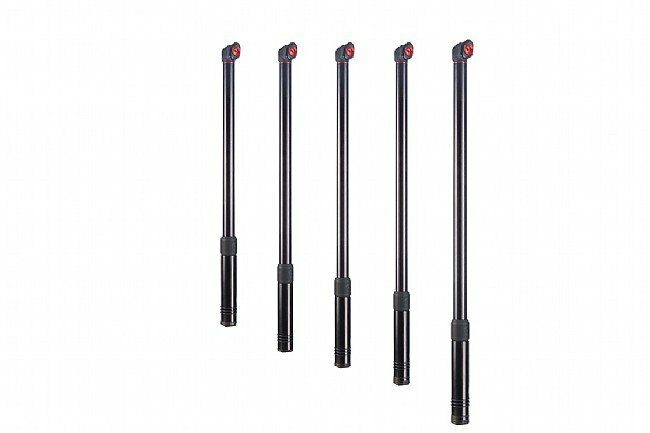 Had the original silca frame pump eons ago that had the campy metal head w two prongs coated in rubber as well as a pump w plastic head. The current version is like the latter and my top tube was sized for a large pump. I found the head of the pump slid down the head tube no matter the orientation of the pump. This was within a minute of install....no riding required. I called Silca support. No suggestion other than go one size up but...the new pump may not compress enough to fit the top tube. Of course that is what happened. I don't think such an expensive product ought to have this issue. Bike is classic geometry. I stuck on some handlebar gel at the junctions and the issue is fixed. I would have sourced an old campy head but pictures didn't show it would fit the pump. Have not tried the pump but expect it to be good like in the olden days. Simple, effective, and looks great too! 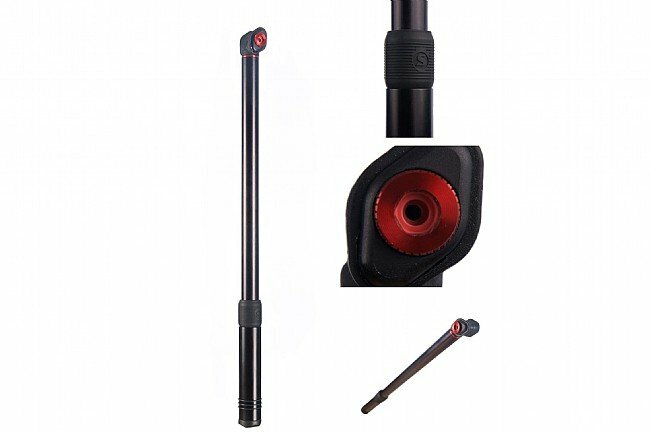 The best frame pump on the market for good reason- Well-constructed, and after figuring out the 'no lever required' system to affix to a valve stem, inflates like a champ.. 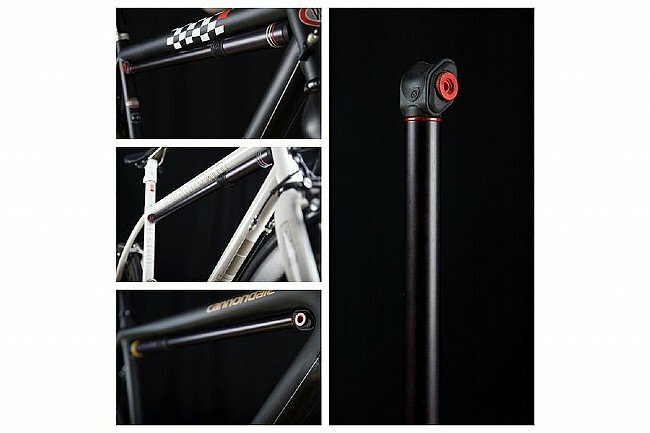 I also really dig the matte black, which looks good on the top tube!